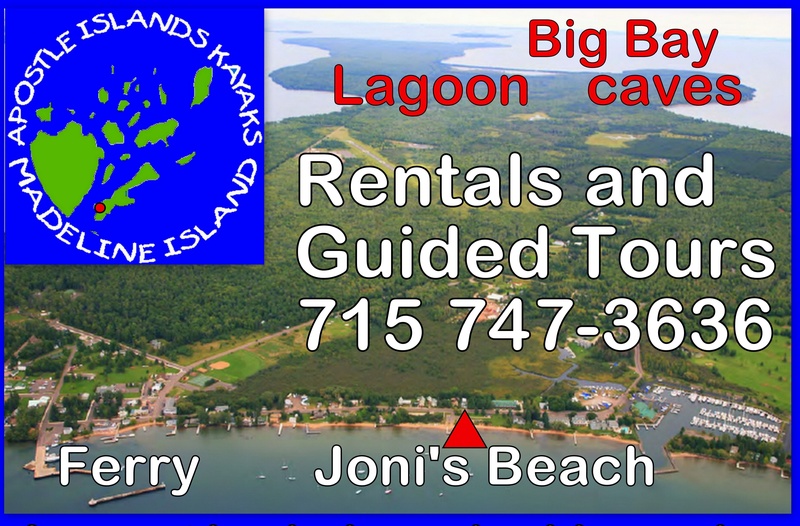 Bayfield and the Apostle Islands await you! 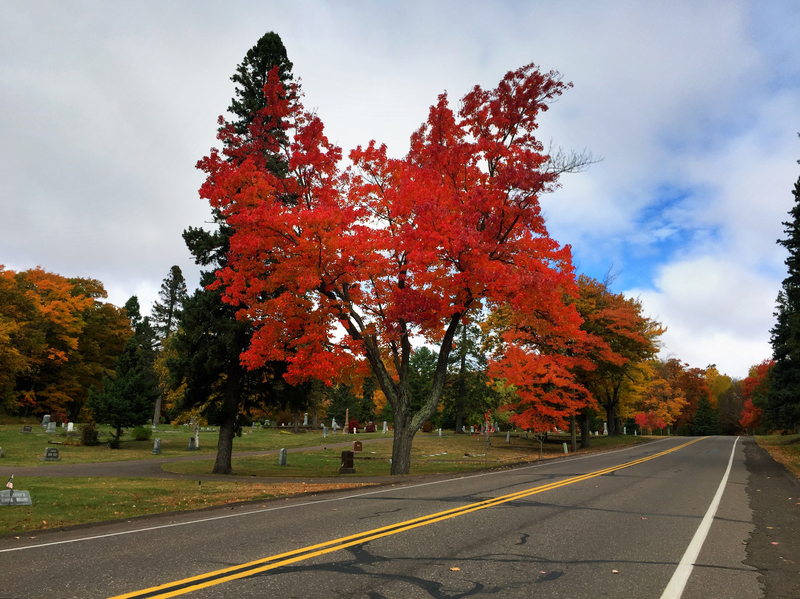 As you plan your trip to northern Wisconsin on the shores of Lake Superior, keep these top 10 Things to Do in mind, as selected by Old Rittenhouse Inn staff as their favorites. Here, we continue on with numbers 6-10 from out Top 10 Things To Do in Bayfield. Check out those views! Perched atop the hill in Bayfield, the Apostle Highlands Golf Course offers both stunning views of the Apostle Islands, Lake Superior, and the upper peninsula of Michigan in the distance. Tee off for nine or eighteen holes and enjoy the scenery! Book your tee time with a package through the Rittenhouse and partake in a few extra goodies as well. Top 10 Things To Do In Bayfield: Golf Apostle Highlands! Catch the breeze aboard one of the many fine sailboats out of the Port of Bayfield. Dreamcatcher Sailing offers three trips daily – choose from a full-day, half-day or overnight sailing excursion and see the Apostle Islands while either helping to sail or sitting back and letting your licensed captain steer the ship. Bayfield’s variety of shops offer something for everyone. The eclectic mix of quaint locally- made goods at the Artist’s Guild, outdoor essentials at Howl, fine art at Stone’s Throw, Scandinavian fare at Joanne’s, jewelry at Silverwaves, unique gifts at Brownstone Centre, books from Apostle Island Booksellers, freshly roasted coffee at Big Water Coffee, the Bayfield Historical Museum and Maritime Museum, both with hands-on exhibits are sure to please even the most discerning visitor. Bayfield’s shopping district is a short walk from the lakefront and the Old Rittenhouse Inn (though it’s uphill on the way back!). You will find a plethora of orchards and berry farms just a few minute’s drive from Bayfield. Check the Bayfield Chamber’s website for what berries and fruits are in season then visit the orchards where you can take home freshly picked fruit, enjoy a wine tasting, pick your own berries, or take in the view from the Bayfield hillsides. Blue Vista Farm, Hauser’s, and Erickson’s are among the favorites of Old Rittenhouse Inn staff. If it’s experiencing the outdoors by foot you’re looking for, check out the many hiking trails in the Bayfield area. The Bayfield Regional Conservancy offers a helpful trail guide indicating where visitors can hike along Lake Superior’s shore or on an extensive trail system on the hills overlooking Bayfield and the Apostle Islands within the Chequamegon Forest. Bayfield awaits you! 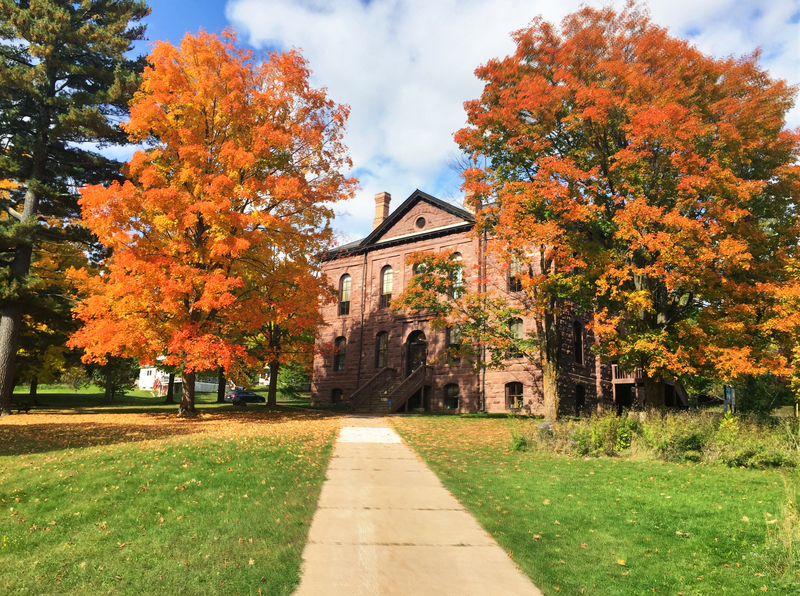 As you plan your trip to northern Wisconsin on the shores of Lake Superior, keep these top 10 activities in mind, as selected by Old Rittenhouse Inn staff as their favorites. Whether you opt to bring your bike, rent on Madeline Island (mopeds or pedal bikes) or just cruise over in your car, you’re sure to have a good time on Madeline Island. The Madeline Island Ferry will carry you across the 2.5-mile stretch of Lake Superior to the village of LaPointe. Spots like Tom’s Burned Down Café, Grandpa Tony’s, Madeline Island Food Truck, The Farmhouse, Inn on Madeline, The Pub, Bell Street Gallery, Big Bay State Park and Big Bay Town Park await you. Bring a picnic or just wander on island time and see the sights. Daily cruises leave the Bayfield City Dock from mid-May through mid-October. Cruise the islands on the grand tour where you’ll see 20 of the 22 Apostle Islands or opt to be dropped at one of the lighthouses for a tour and hiking excursion. Glass bottom boat tours also offer a glimpse of several area shipwrecks. Rain or shine, cruise guests often spot eagles, sea caves, and fish camps, among other sites, while enjoying information about the area from cruise captains and the beauty of the lake and the outdoors. Set up your professionally guided tour of the mainland sea caves (made famous by social media when they were accessible by and covered in ice a few years ago) with a licensed service like Living Adventure. Day-long packages include lunch, all needed gear, and an experience you’ll never forget! Known as the spot for “Culture Under Canvas,” Lake Superior Big Top Chautauqua hosts guest such as Emmylou Harris, Tab Benoit, Garrison Keillor, and Taj Mahal under the big tent just three miles south of Bayfield. Experience the best of outdoor entertainment in a beautiful setting with great sound, good food, and new friends. Catch a Big Top shuttle from just outside the Rittenhouse. The Old Rittenhouse Inn’s Landmark Restaurant offers the finest dining. Guests can opt for the signature five-course, set-price meal or order a la carte from the menu. Celebrate a special occasion or just toast to Thursday evening! The Landmark is known for mouthwatering dishes such as the pork chop, steak Bercy or carpetbagger steak, though fresh fish, pastas, curry and lamb also appear on the menu. Reservations are suggested. Call 715-779-5111. Stay tuned for Part Two of our list of Top Ten Things To Do In Bayfield This Summer and start planning your getaway today! This fall I had fun sneaking away from work during the afternoon to “hunt trees.” Fall color came late to Bayfield this year, which was nice because we actually had (some) time to enjoy it! This first one is one of my very favorite trees in Bayfield, up on 5th street by the old courthouse building. Here is the courthouse. My parents, Jerry and Mary Phillips, helped save this building from the wrecking ball in 1976. A few more from the courthouse property (now the home of the Apostle Islands National Lakeshore Headquarters). Him just a wittle guy! But he’s gonna be a beaut when he grows up. Nice little slice of color on 8th Street. This guys is just blazing big time I liked this one because it looks like an explosion! Last one. I liked the composition on this one, with the road leading off to the foggy lake. 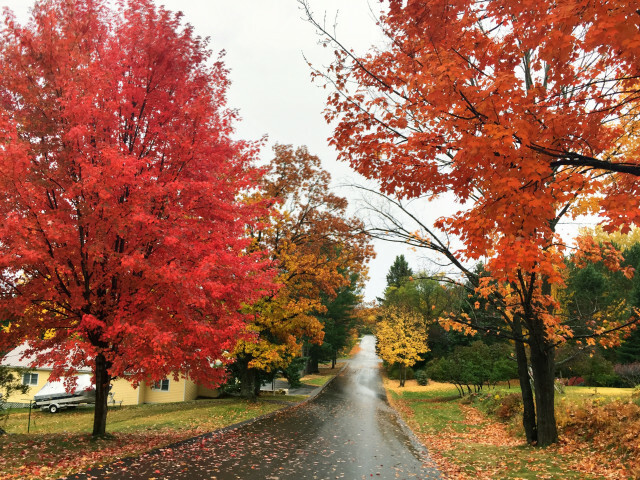 Thanks so much for checking out our Bayfield, WI Fall Color picks! Hope you enjoyed them, and do come visit us sometime during the fall color. You won’t regret it!